Home / STORE / Easter & Spring. / Easter Egg Green. Decorate your home this Easter with these beautiful wooden Rainbow coloured Easter Eggs. Pastel green with white decoration. 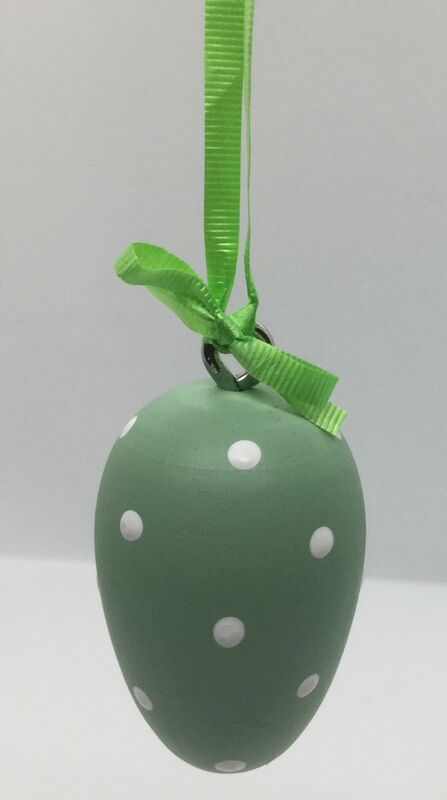 Large Easter Eggs are 6cm high and have a white ribbon tied in a bow to hang from. 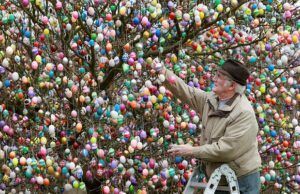 Smaller Easter Eggs are 3cm high and hang from a yellow cord.